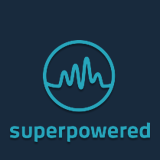 What format is supported by Superpowered that accepts WAV? Does the audio file size of that format is really small? The spatializer ends up with deinterleaved buffers as output signals, so how do you input the reverb signal from the spatializer to the global reverb as it does not seem to have an input but only an interleaved output pointer? I am looking specifically for realtime binaural synthesis based on the compassdirection. Do you have any tutorials for binaural sound rendering ? I am wondering why you don't use IIR filters in the HRTF processes? This would save enormous amounts of computation and reduce bus loading and undoubtedly allow better matching to the actual HRTF-specified filter responses. We are wondering if the Superpowered spatializer plugin runs on Linux using Unity? I'm using Superpowered for game development, and I was wondering if the Superpowered 3D spatializer uses binaural methods, or just changes the L/R channel's volume?